International Shipping: We are sorry, but shipping of rods outside of the United States is not available at this time. Additional charges may apply for Alaska and Hawaii destinations. ​*** We are now able to have TACKLE INDUSTRIES rods shipped to Canada via FedEx. If you have other items on your order, additional shipping charges may apply, as shipments would occur from more than one location. Should you ONLY have rods from Tackle Industries on your order and nothing else, there will be no additional shipping charges from what is shown during your checkout. - Lure weight rated: 1-4oz - Line weight rated: 30-60lb - Power: MH or Medium ..
- Rod length 9' (Extended) and 7'6" for storage. 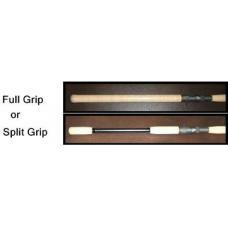 (Longer rods also collapse by the same 18" for stor..
- Rod length is 9' or 4'6" for storage - Lure weight rated: 1-4 oz - Line weight rated: 30-60lb ..
- Lure weight rated: 2-8oz - Line weight rated: 60-130lb - Power: XH or Extra Heavy - Speed/Ac..
- Rod length is 9' or 4'6" for storage - Lure weight rated: 2-8 oz - Line weight rated: 60-..
- Lure weight rated: up to 16 oz - Line weight rated: 80-150lb - Power: Mega Heavy XXH..
- Rod length 9' (Extended) and 7'6" for storage. (Longer rods collapse by the same 18" for storage) ..
- Rod length is 9' or 4'6" for storage - Lure weight rated: up to 16 oz - Line weight rated: 80-..
- Rod length is 9' - Lure weight rated: up to 32oz - Line weight rated: 80-150..
Our new Vexan® Inshore Rods lineup is designed to meet your exact needs for casting and perfect pres.. 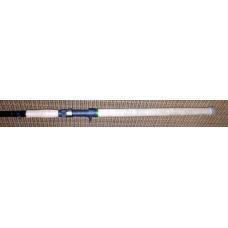 Tackle Industries rod socks are designed to protect your investment from nicks and scratches. 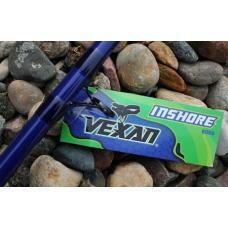 Made i..
For years Tackle Industries has been known to make some of the highest quality and affordable lures ..
Vexan Walleye Rods: For years Tackle Industries has been known to make some of the highest quali..